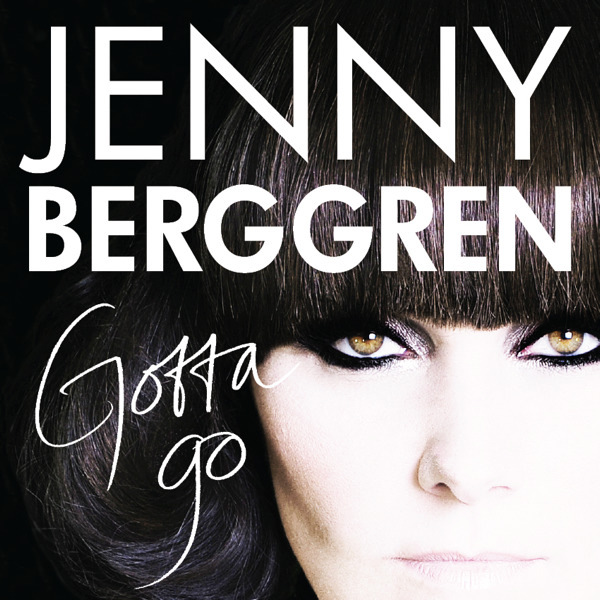 After 2 days of waiting the new single of Jenny - "Gotta Go" is available" on iTunes worldwide. Go to iTunes and get it! Today is the official sale start of Jennys new single "Gotta Go". You can buy the single online within the next days on iTunes. Jennys official website got an update with a new picture and the cover of the new single "Gotta Go". The band had some promo gigs in North America - one in Canada on the Amfar Gala 2010. On which they performed a song with Kelly Rowland. Some days after that they appeared on the Sirius Radio XM in New York. listen to the album "The Golden Ratio"
10.09.2010 Tracklist "The Golden Ratio"
In some regions there will be bonus tracks. 10.09.2010 Ace.Of.Base: promo clip zu "The Golden Ratio"
06.09.2010 COVER "The Golden Ratio"
The german label of Ace.Of.Base published the cover of the forthcoming album "The Golden Ratio" on their website. The first draft was a white picture with the band name and the album title. But now they had decided to take the band on the cover. You will see it when you click on the picture on the left side. The band had announced that the forthcoming album will be released on 24th September in 2010. Furthermore they decided that the song "Let It Play (On The Radio)" is keeping the original name: the final title is "Bla, Bla , Bla (On The Radio". The band needs furthermore your suggestions for the content of the new official website. You can write it down on their official facebook-site. 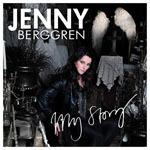 Jennys first solo album "My Story" will be released on 13th October 2010. So it is delayed for 4 weeks. But with this delay Jennys is presenting a second single: "Gotta Go". This single will be released on 15th September 2010. You are able to listen to the 2nd single on the following website. Don`t forget to vote for the song on your radio station! 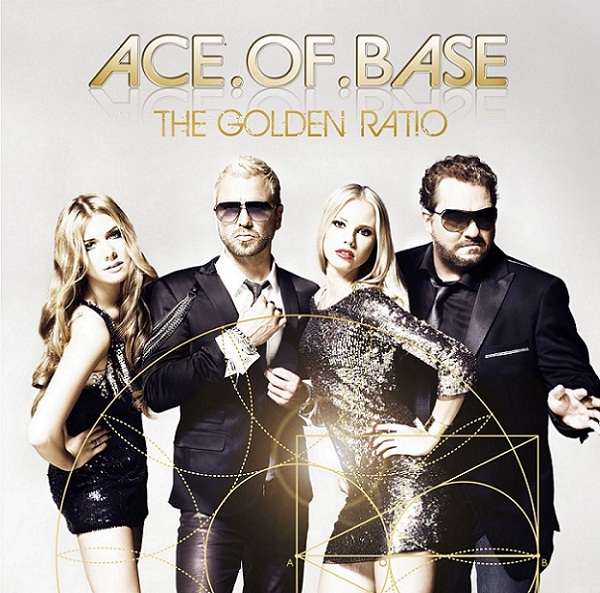 The first single of Ace.Of.Base is "All For You" and will be released on 10th September in Germany. The album will have the title "The Golden Ratio" and will follow in October 2010. Right now you are able to order both on Amazon. Furthermore the band shot a video in August 2010 to the leadsingle which you can watch on the website of the german tv channel VIVA. The band announced more song-titles like "Let It Play (On The Radio)", "The Golden Ratio", "One Day", "Southern California", "Told My Ma" or "Vision In Blue". Current pictures and official pictures you will find on the official Facebook-page of Ace.Of.Base! buy the single "All For You"
buy the album "The Golden Ratio"
Video zu "All For You"
16.05.2010 Video to the single "Here I Am"
01.05.2010 Jennys first dingle: "Here I Am"
Now it is set - the first single is "Here I Am" and it will be released on 19 May 2010 - Jennys Birthday! The song got a good airplay on various radio stations. Furthermore the cover and the video for the songs are ready. It is announced, that it will be a online and physical single! So expect thje 19th May for the first release of Jenny! Jonas and Ulf had confirmed the names of the new 2 singers - Julia and Clare. Both are Swedes and have dark brown hair. Clara cpuld be Clara Hagman, which participated on several casting shows in Sweden. And Jenny is working on her first solo album too and she is appearing on various churches in Sweden. Now she told the fans, that the song "Free Me" was downloaded more than 5.000 times! Congratulation! 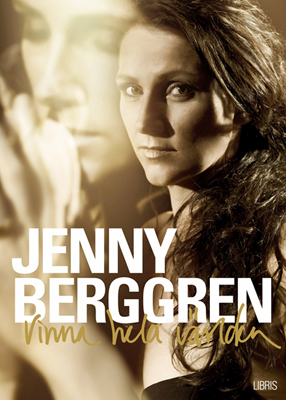 Jenny Berggren on the other site is focussing on her solo career. Her official webiste shows a new trailer with first impression of her own music style - and he is really great! It sounds fresh and unecpected! Furthermore Jenny appeared on the swedish channel TV4 - the clip is online too. The solo project of Jenny is more and more in development now. After the release of her book now her official website opened with video-trailer! The designer Rickard Engfors is the creative head again. 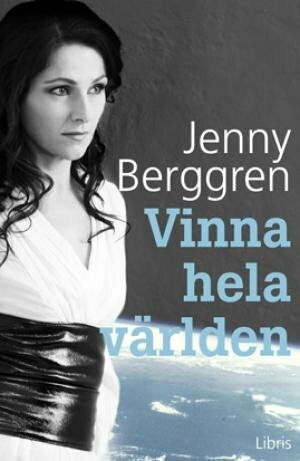 Today the first book of Jenny "Vinna hela Världen" was released in Sweden. Another interesting information: today is the wedding day of Jenny and her husband too. Furthermore Jenny announced on Twitter that there will be a translation in various languages the next time. So there will be a chance to buy the book in your own language! But until now a releasse date of these translated books are not fixed. The next days Jenny will have some promotion to her book - you can get the dates on her Twitter site. Right now Jenny ia the most active band member in the internet. Some days ago she opened her own site on Twitter and give the fans some funny and personal messages! Beside that her book, which will be published in September, is getting a new cover. You can see it on the left side to the text,,, It is created by Rickard Engfors. According to the Urbania Group, their concert management, the band will do a concert on 1st August 2009 in Moscow again at the Nahabino Country Club! Since weeks the official website of Ace of Base is down. And now there are rumours about the future of the band. After the bankrupt of their provider Mubito the release of the new album seems to be stopped. And the band is not sure about the kind of release. According to the rumours there is the possibility that the band will release the best made album ever under a different band name! But one thing seems to be for sure: The fact that there will be a release! We will see what the future will bring to the fans of Ace of Base! Today we were in the studio to record my vocals for a new song about the world. It's so great to be together in the studio. We have a lot of fun and enjoy every minute. We wanna say thank you to all of you for your big support! One more thing what I wanna say is about your demo petition. We don't have the rights yet to bring them online or release them now. Hopefully we can tell you later more about this. The recording of the new album is almost done and we are pretty comfortable that this would be the best album ever. Jonas and I had the most creative and productive period in our lives the last 9 months. On 16th February 2009 the swedish channel SVT2 will broadcast a show about Ace of Base and the measure between the Swedes and and the band. It will be shown at 9.30 pm european time. During their sutdio session in the US Ulf and Jonas were working with the prudocer Damon Sharpe on their new album. Damon Sharpe had collaborations with Anastacia and Jennifer Lopez in the past. Furthermore there is a video about their studioworking on Youtube. On 24th January 2009 from 7.45 pm until 9pm an Ace of Base concert will be shown on the lithuanian INIT TV! After the first remix contest with "Wheel Of Fortune 2009" the band and Koblo published a new remix kit in combination with a new contest! Now you have the chance to create your own remix of the 2009 mix of the world hit "Happy Nation". Get it and be creative - of course you can win something from the band! The band and the german corporate Sennheiser will have a cooperation for the upcoming world tour! Sennheiser is providing the technical support for the shows - with it the band has the highest level on technical support! More information you will find on the following website. The last bands the fanbase got more information about possible tour dates. According to the organizer of the Töreboda`s festival in Sweden (from 02nd until 4th July 2009) the band will be a part on it! Furthermore there will be a concert in Minsk on 28th February 2009. More confirmed dates are: 07th March in Santo Domingo, 20th March in Riga and 18th July in Kirkjubøur (Faroe Islands). I must say that I'm not only super impressed by the 3.0 remixes that you've done on WOF 2009, but also very encouraged to continue our mission to become more and more interactive. It really worked even better that Jan Karel and I ever dreamed of 24 months ago, which was when this project started. We're working 24/7 together with the great Koblo.com people to get the sequencer and lots of other super cool stuff online (integrated on aceofbase.com). I'm really proud that you're all being part of writing history and forever changing the way music was produced and consumed! Our plan is to release more old hits (in new redefined formats) to be remixed next year and the best remixers will be invited to participate in some way on the new album! More info follows in 2009. We're also working hard on a online video editing tool for 2009 where you can participate on remaking all our videos! Plus we're working on a super cool contest for our new album. More info to come, so stay tuned here! Simultaneously we are super busy in the studio working with the band on the new album. We just spend the last few weeks with the famous producer Peer Åström and the results are fantastic! Thank you all for this unbelievably inspiring year! The winner takes it all it’s said, but I have a special place in my heart for more than one winner. However in DJ Powers version, that low sounding problem is solved. I’ve never been that happy. You have created a great energy! I’d like to hand the price to you in person and I really hope to hear more from all of you. I usually tell our crew on tour to keep on growing with us in the project. In the same spirit I would like to encourage you all to make more music, create new ideas and to improve your remixes. Welcome to the world of changes in a good way. This is the most exiting thing I’ve heard in a long time. Thanks to you all! I'm on my way to Stockholm to do some recordings for the new album. I feel so privilieged to be able to do music in this way! I wish you a all a Merry Christmas! With the help of the remix kit to "Wheel Of FOrtune 2009" some fans have created their own remixes. You have the chance too to make your own remix. You only have to download the remix kit and with the use of Koblo or other programs you can create the remix. Lets do it! The band had an appearance at the SIME 08 in Stockholm on 13th November 2008. They performed the songs "The Sign" and "All That She Wants" together with the artist Mia Rose. Now you can watch these performances on the official Ace of Base channel on YouTube. Furthermore the band published an interview from the concert in Bucharest on YouTube. remix kit to "Wheel Of Fortune 2009"
Ace of Base promised the fans that they can create their own remixes of the new songs. And now it is possible to to that. On their site they published a remix kit for "Wheel Of FOrtune 2009"! After a download you can use 13 original files for a new own remix. After your publishing of the remix you can win various prices from the band like VIP tickets for one of their concerts. So let´s do it! 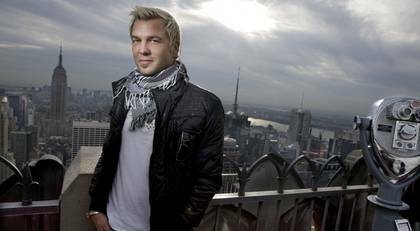 The swedish newspaper "Expressen" filmed an video interview with Ulf during his stay in New York last week. He told something about the new studio album. He mentioned that the fans should be part of developing the new album - they have the chance to write the lyrics and will choose the final 20 songs for the new album from over 500 songs Ace Of Base has written the last time. The first single "Wheel Of Fortune 2009" hit the charts on #8 in the Maxi-Charts and on #54 on the download charts on Musicload.de. Furthermore the song reached #20 in the swedish itunes charts and #1 on Klicktrack! The single "Wheel Of Fortune 2009" is now available for download - for example on Musicload and the store on the official website of Ace Of Base! According to the band they will make a tour in the United States in autumn this year. Furthermore they promised that a new album will be out next summer for sure! Right now they have done 60 percentage. Video "Wheel Of Fortune 2009"
On 23th October Ulf will participate on the 8th Swedish Music Seminar in New York. The well known journalist Fred Bronson from the Billboard magazine ("Chart Beat") will interview Ulf about "the past, present and the future of Ace Of Base". The last had a lot of new information around the first single and the colllection album. Playgroundmusic will release "Wheel Of Fortune 2009" as a download-single worldwide on 24th October 2008. You can order and download the single for example on Musicload and Klick Track. According to the website "Ace of Base - Redefined Jenny will do a worksop at the University of Orebro on 28th Ocotober 2008 from 5 till 6.30 pm. She will share her experiences as a famous woman und will talk about the stardom. The scandinavian label Playgroundmusic will release a single for promoting the upcoming collection album on 24th October. The single will be "Wheel Of Fortune 2009", which includes a club mix of the song. The swedish label Playgroundmusic will release a collection-album on 27th October this year. According to their website the CD will contain all their 16 greatest Hits, 13 classic remixes and new remixes of "Wheel Of Fortune" and "Don`t Turn Around". Furthermore the collection album will include a DVD with all their music videos. Until now there are no information about a release for Germany. The promotion poster for the concert in Riga on 21st November is published on the website of the UrbaniaGroup. The concert is part of show called "Back to the 90s". According to the website "Ace Of Base - redefined" the concert dates for 1st and 2nd October in Helsinki were cancelled. You can use the tickets from these shows for 3rd and 4th October or you will get back your money. Furthermore the band will appear at the IndoChine Festival in Singapore on 26th September. The concert will last about 2 hours. In September 2008 the Band ad changed their management. Till the band was represented by the United Stage Management Group. Now the manager is John Orlando and his agency Urbania Group. According to the website "Ace of Base redefined" the "Wheel Of Fortune"-remix will be the first single of a double-album which contains a CD with their greatest hits and a second CD with new remixes and remakes of the old songs. He mentioned, that pop-icon Madonna is using a mix of "Like A Prayer" and "Beautiful Life" on her "Sticky and Sweet"-Tour... Apart from that I visited the concert in Berlin on 28th August and I cannot confirm this fact. If there is really a mix between both songs you have to listen very carefully or just have a good imagination. Although it would not surprise me if there will be a collaboration between Madonna and Ace of Base. It is founded to the rumour that the queen of pop is interested to use the electrostyle on her next album. 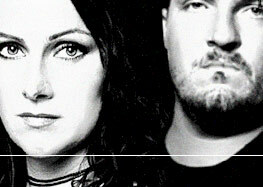 The woöe interview you can read on the website "Ace of Base redefined". The danish benefit-organisation engodsag.dk and Ace Of Base will work together. According to a danish article the band will release an international benefit single. A part of the sales will be used for a good cause. A shop for Germany is planned under the link einegutesache.de too. The band announced officialy the concert for Riga on 21st November 2008. The theme is the 90s - there will be stars like Haddaway and Culture Beat too. Furthermore the band will appear on 29th June in Minsk (Belarussia) and they cancelled the concert in Stavanger on 28th June 2008. On their last concert in Middelfart in Denmark the band had presented a new song. Right now the fans are not really sure about the correct title - it could be "Sparks" or "Sparks of a fire". A first soundcheck of this song you can get on the AceBoards. The band will appear from 1st till 4th October 2008 in the capitol of Finland, in Helsinki. Furthermore the band had a private gig in St. Petersburg at 7th June. 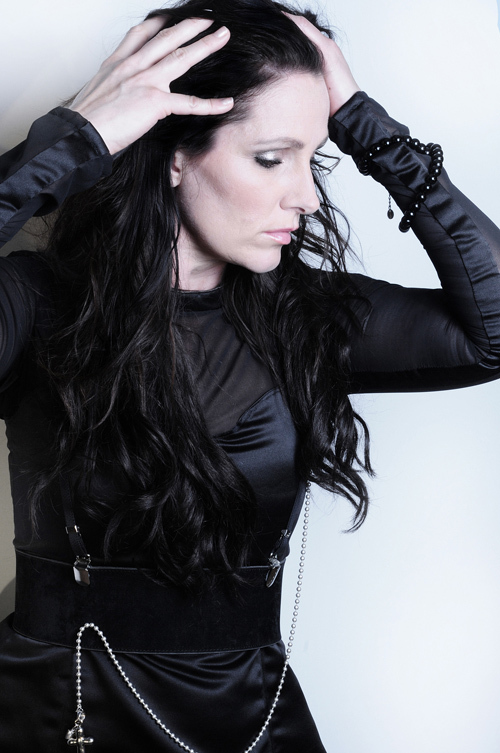 "Jenny worked hard for Donna Summer"
JENNY BERGGREN: The minute we met I knew it would be a long time friendship. Thank you for your input on my record and sharing your world with me. NATHAN DIGESARE AND JAKOB PETREN: Nathan my brother, my studimuffin and Jakob, I am honored to be a part of this creative journey with both of you. Ulf told in an bulgarian interview, that the new album will contain 14 songs. There will be 7 new songs and 7 new version of the famous old songs. The swedish agency Foxy Promotion will be handling the promotion of the band in Asia, South America and Europe! The 3rd child of Ulf and Johanna was born on 03nd April 2008! They got their first daughter and gave her the name Valentina! Now the first dates for the upcoming worldtour were fixed. The band will perform in Kiew on 14th April in Kiew and on 15th April in Odessa. Bothe are cities in the Ukraine. First the band confirmed, that Linn is definitely out of the band! An official statement will be announced in the next time. The new album which is planned for a release in Summer 2008 will contain some new songs and new version of the old songs. Jenny played the webmasters of aceofbasereturns.com the new version of "The Sign"on her mp3-player. They described the sound as new modern electro-sound. Furthermore the band will work with a famous chinese artist which has a fan-community with more than 1 billion people. Beside the concerts in Europe, Asia and the United States there will be concerts in Africa too! Concerts in Kiev, Minsk and St. Petersburg are planned for April. Kiev will take place on 14th April. In May there will be concerts in Sofia, Barcelona, Bucharest, Estonia, Slovenia, Slovakia, Poland and Denmark. Concerts in Munich, Kiev and Helsinki will follow in June and in Asia in July. More over one more concert is planned for Denmark in August. Germany, Austria and Switzerland are set for October and the US-tour for 2009. Ace of Base is coming back! With a new look, a new sound and a very cool new website coming out in May! Want to know more? Please sign up for the official newsletter at http://www.aceofbase.com. The official AOB newsletter will start in March. According to aceofbasereturns.com, there are plans for a release of a new album and a remixalbum in September 2008. The worldtour should start in May and there are plans for a tour in China and another one in the USA in 2009! The website aceofbasereturns.com announced, that there will be some more concerts of Ace of Basein next time. 2 of them will be in Kazakhstan - on 14th February 2008 in Almaty and on on 15th February in Astana. Furthermore there will be a concert in TRondheim (Norway) on 22nd February 2008. The russian TV-channel TV1 had sent the concert of Ace of Base from 15th December 2007 in Moscow on new year. You can download the video on aceofbasereturns.com! 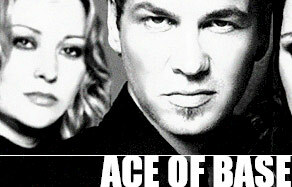 In a radio-interview Ulf mentioned, that "Ace of Base is now a trio, we're not 4 anymore. Malin is not a part of the band anymore". Futhermore Ulf said, that Linn wanted to leave band since 1996! In past she was faded out more and more from the band - and now it was time to communicate, that she had left the band... You will find the radio-interview on aceofbasereturns.com! Like reported, the band will perform once again in Moscow - at the Olympic arena on 15.12.2007! The concert will be together with the Army of Lovers and other artists and will be presented by the radiochannel RetroFM! Furthermore the band will do a concert in Bergen on 22nd February 2008 in Norway! Ace of Base announced possible concerts for Denmark, Sotuh Africa and Germany! Videos, pix and more information are availlable on aceofbasereturns.com! The concert on 23rd November in Copenhagen will be in the Vallby Hallen and not the Forum! Furthermore there will be one more concert in Moscow on 15th December! Pictures, videos and audio-files are availlable on the Aceboards YouTube! The management had announced, that the first concert was sold that the band is planning a festival-tour in Europe! The official website has a new design! Check it out! The music organisation BMI honours Ace of Base with a medal for the performing of the song "The Sign" 3 million times on tv and radio in the USA! Jenny represented the band in London on 16th October to reach the medal of BMI. Jenny will be together with Magnus Carlsson on the swedish tv-show "Så ska det låta" on SVT. In this show 4 musicians play against in 2 teams. Magnus Carlsson and Jenny will be one team. They have to sing songs along to a piano. The show will be recorder in October. It will be on air in 2008. The URBANIA GROUP confirms an Ace Of Base tour for the first time in the past 12 years. Confirmed shows to take place in St. Petersburg, Moscow, Ufa and Ekaterinburg in Russia, Vilnius and Siauliai in Lithuania and Tallinn in Estonia. More shows to be confirmed. The appearance in Vilnius will take place on 14th December at the Siemens Arena. The band will perform together with the famous artists Sandra and Alphaville. Furthermore it is known, that the swede Rickard Engfors will provide the outfit of Ace of Base on the tour in Russia. The british radio-channel BBC Radio 1 is celebrating his 40th anniversary. To this special event they had made covers of the 40 top-hits of the last 40 years. And All That She Wants" is the hit for the year 1993. The band "the Kooks" were making a cover of it. Futher hits came from stars like Madonna, Justin Timberlake or Sting. The concert-promoter for Russia, the Urbania-Group, is listing another concert for Russia. It should be in the russian capitol Moscow in the "Club Rai" on 16th November 2007. Until now this concert is not confirmed yet by the management. Right now it is a good time for the fans of Ace of Base. The management had confirmed two concert-dates for the November this year. On 17th November the band will give a concert in St. Petersburg in Russia at the SKK-Arena. On 23rd November will be the concert in Copenhagen in the Forum. The last one will start at 9.30 p.m. The tickets will cost between 495 and 595 kr. and the selling will start on 19th September 2007 on www.billetnet.dk! Ace of Base-manager Lasse Karlsson sent a message to the website Aceboards, that there will be another concert in Copenhagen probably. It is planned for the end of November. The management of Ace of Base confirmed, that the band will have their first official concert since years. It will be in Bangalore in India on 24th November 2007! Right now there are no more details available! "Dear Acers, I am sad about the fact that I am getting strange mails from fans and media about a confirmed performance in Poland. In fact this is not true, some weeks ago maybe a month ago we did get invited to perform at the "tall ships" at Szczecin, Poland, and for this we were happy But we never agreed or went in contract with any promoter, there is nothing signed in between the parties. We are honoured and happy about the concert request. But the truth is that if we would have confirmed this, it would be out in our news on the official site and myspace site directly. In fact we left the invitation open, saying maybe to the promoter. We have been very informative to all involved. Saying that first of all we need to have a show to present, for that we need the group, musicians and material to be rehearse. With out this, there is no show to perform. Due to the fact that there was many personal schedules to re-book and change, the rehearsals was slower then planed and due to this we did inform the promoter that the band not were able to reach the given deadlines. So the show was turned down. In fact we are rehearsing as we speak; the ambition is to set up shows in the near future with Ace of Base. I would say in November..."
After that a new rumour about a possible concert reached the acerdom! A swedish event manager is listing Ace of Base for a concert in St. Petersburg in Russia (Ledovy Arena) on 17th November in 2007! But till now it is just a RUMOUR and not confirmed by the management or the band. You should buy your ticket and plan the trip to Russia only after an official confirmation! According to the event manager of "The Tall Ships` Races" the band will be the music star for the final race. It will be in Szczecin in Poland on 4th August 2007. Unfortunately there are no more information or a confirmation from the management. In an interview with the swedish newspaper Expressen Jenny told, that she gsve birth a doughter few weeks ago. Jakob and Jenny have not a name yet, but they call her lovely "Lillan" (the little one). The tranlsation of the article you will find under "Presse" or under the following links. On the offical site is announced, that Jenny and Jakob are very proud to be parents of a daughter and that they have written a song about her! On 18th March Jenny and the origianl ABBA-Orchestra had their first appearance together at the swedisch TV-show Bingolotto at the swedish channel TV4. They performed the songs "Summer Night City" and "Voulez Vous". The tour will start on 29th March in 2007 in Uppsala and wil end on 12th May in 2007 in Linköping! The videos from the appearances you can find on the Hallo Boards. "Jenny is exited and happy and says that she has felt less pain and also much better during this second pregnancy. She is longing to meet you all and hope to see as many as possible of you on the ABBA Orchestra tour"
Lasse Karlsson answered some questions to the webmaster of the Aceboards about the new album and the possible tour. According to Lasse the working on the new album is still in progress. There are 6 songs recorded in Gothenburg and Stockholm. A release is planned for the spring 2008. A tour is still planned from the band. Some single performances are possible for the autumn 2007. With the release of the new album a more structured tour is planned. If Linn will take part on the tour is up to her, but Lasse wouldn´t ecxlude Linns participation for the tour. Furthermore the manager said, that the band was in Gothenburg the last 3 weeks of the old year. There were several meetings and the band talked about songs, ambitions and how to set their own personal targets. For the first 3 weeks Ulf is leaving Sweden for Thailand. After that the management and the band will make a more structured plan and this will be posted on the web through Lasse. According to the french website aceofbase.com.fr the band is working on the forthcoming album right now! There is a song with the title "Sunset in the Southern California" or very similar to it. This song has Jenny and Linn as leadvocals and is very close to the typical sound of Ace of Base! Furthermore Lasse Karlsson confirmed, that a tour should be planned for 2007. This week there will be a meeting between the band and the management. After that an official message should be published on the official website. In Swedish news papers there have been roomers the last two days about Ace of Base being a possible candidate for participating in the Swedish Eurovision song contest. There’s never been any official request from SVT (Swedish Television) if the band is interested to participate for Sweden in the Eurovision song contest. So to valuate if or what the band feel about a question they never received seems kind of stupid. Same thing about question about the UK! UK or I should say BBC has never requested the band to participate for them in the Eurovision song contest.